Large Netting Pocket for magic pens; ruler; bias maker; clips and other sewing tools. Two transparent pockets for needles; templates; buttons; snaps and others. 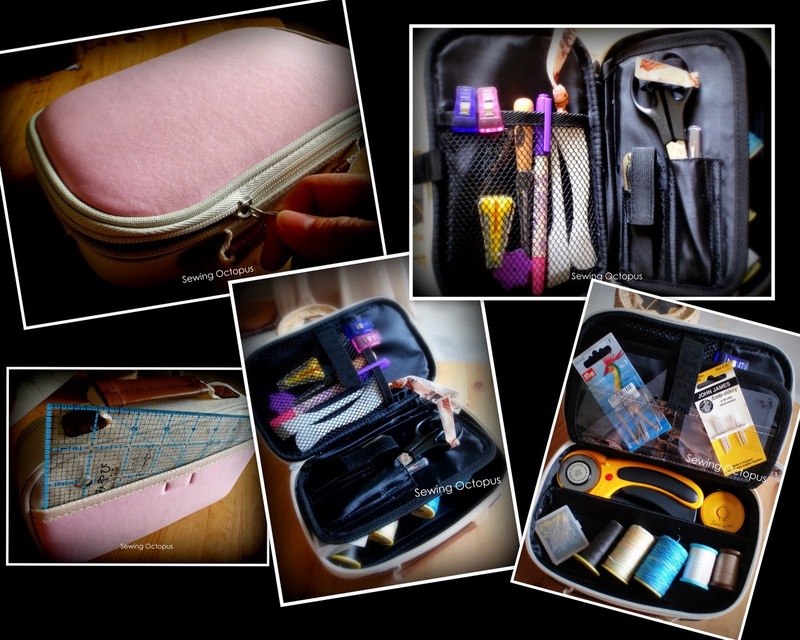 One deep compartment with divider, ideal for storing rotary cutter; measurement tape; soft pins; thread; bobbins and others.